The workhorse of the Panasonic line, WhisperCeiling™ is time-tested and customer approved for its quiet, yet powerful consistency. 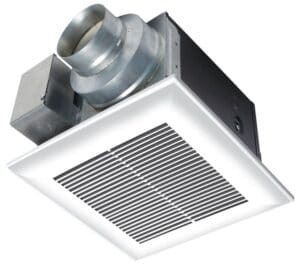 Rated for continuous use, WhisperCeiling vent fans are a simple way to incorporate an energy efficient ventilation strategy, and are a great choice for new and remodel residential applications. We Set the Standard for Quiet Operation.